On the edge of a rice paddy the soldiers bound the hands and feet of four boys. As they did, one of the boys sobbed. Another’s chest quietly heaved as tears raced down his cheeks. The other two showed no emotion. Encircling them were hundreds of other paper-thin boys too weak and scared to put up a fight. Starvation, forced labor and torture have a way of doing that to kids. Dareth Ly, then 9 years old, stared at the bound boys. They were his co-laborers and co-sufferers. More importantly, they were friends. Now they were going to die. After being separated from his family when he was 7 years old, Ly was sent to the Khmer Rouge-run labor camp where he spent his days digging irrigation ditches and building dikes in rice paddies. It was a man’s work made worse by lack of food, little rest and long hours under the grueling sun. Even worse were the sadistic soldiers who indiscriminately abused, tortured and killed the boys. Depending on the day, the soldiers would choose a handful of boys and pluck their finger- and toenails off with pliers or try to decapitate them with palm branches. The cruelest moments occurred when the soldiers executed the boys. With no remorse and machine-like efficiency, the soldiers pulled clear plastic bags over their victims’ heads. The thin plastic adhered to the boys’ moist faces, outlining their tiny mouths and noses. Within minutes they were dead. Satisfied, the soldiers sent all the witnesses back into the rice paddy to work again. Tomorrow, they promised, more boys would die. Seven years earlier, Ly had lived with his family in Kâmpóng Cham province, which borders Vietnam. 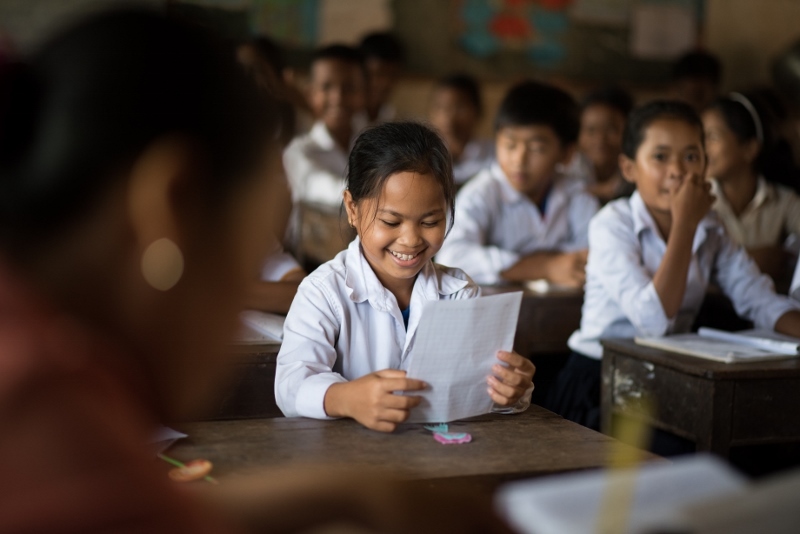 Like many Cambodian villages, Ly’s was home to peasant farmers who worked the land tending rice paddies, growing coconuts, and fishing streams and lakes. After the U.S. military began bombing the area, Ly’s mother, Yee, fled with him and his sister for Phnom Phen, Cambodia’s capital city. With no money or place to stay in Phnom Phen, the family lived on the streets. Ly, only 3 years old, began a harrowing journey that would take him to the brink of death, transform his life. Along the way, he’d also develop an insatiable desire to reach Cambodians with the gospel and train them for leadership. While his mother made and sold cakes, Ly and his sister, Sreng Hok, roamed the city scrounging for food. Three square meals, candy and Saturday morning cartoons weren’t even a thought for them. Their sustenance and fun came in the form of chasing down bags of rice dropped from U.S. military planes. When they found bags that had broken open they’d scoop up as much rice as they could before adults descended on the bags. 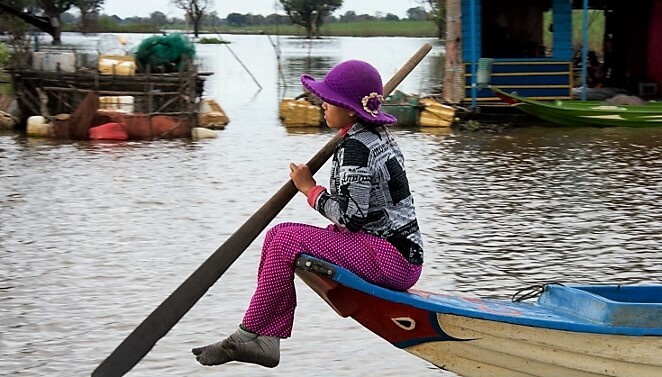 As the family struggled to survive, Cambodia’s government was imploding. Pol Pot, leader of the Khmer Rouge, and his soldiers were bent on turning the country into an agrarian communist utopia. To do so, they battled relentlessly to overthrow the government. When they finally did in April 1975, Cambodians celebrated in the streets thinking the civil war was over and peace would prevail. As its first act in power the Khmer Rouge drove everyone out of Phnom Phen, telling them falsely the Americans were going to bomb the city. Pol Pot envisioned a Cambodia untouched by Western civilization and capitalism. To achieve that, he believed he needed to kill the educated people, move the noneducated to the countryside, dismantle families and rid the country of currency, religion and private land ownership. With thousands of other families, Ly’s family left the city and walked to a remote village. There, the Khmer Rouge herded everyone into military trucks for a 24-hour road trip sans food or water to the village of Pursat in Northern Cambodia. Upon arrival the family was separated. In the first few months at the labor camp there were nearly 1,000 boys in captivity. Each week the population decreased as boys, 7-11 years old, died of starvation, sickness, exhaustion and torture. Ly stayed alive, he explains, by obeying orders, working hard and eating insects, roots and grass. After four years of captivity Ly’s resolve to live was high, but physically he was waning. Each day he and the 30 boys who were still alive were dragged into the rice patties though too weak to work. One day, mortar rounds rained down on the rice patty. Ly crawled into a hole. When he emerged two hours later his captors had fled. Unbeknownst to Ly and the other boys the Vietnamese had invaded Cambodia to eradicate the Khmer Rouge. “We didn’t know what was happening, but those who could walk walked to a nearby village,” he says. When they arrived the village had been abandoned, but they found food and ate before moving on to a provincial village where they met up with more labor camp survivors. As families and friends reunited all around him, 11-year-old Ly, slumped to the street wondering if his mother and sister were alive. Within minutes a 30-year-old woman kneeled down next to him and asked him his name, where he was born and who his parents were. When he answered, she embraced him and told him she was his father’s daughter from a previous marriage. Though freed from the labor camps, Ly and the others were far from safe. Because Pol Pot had dismantled the government there was no law or authority. Even worse, there was no food or hope that the situation would improve. It was rumored Thailand was accepting Cambodian refugees, so Ly and his stepsister decided to make the trek despite the threat of bandits, Vietnamese and Khmer Rough soldiers, and landmines in the fields and jungles. With about 100 people Ly and his stepsister began walking toward Thailand. Leaders decided it would be safest to walk at night and hide during the day. Because most everyone was malnourished and weak they moved slowly. Sometimes soldiers would pass nearby and everyone would hide. To protect the group, some mothers were forced to suffocate their crying babies. Landmines took the heaviest toll on the group. By the time they crossed into Thailand the group had dwindled to 25 people. They were placed in a jungle camp and eventually moved to a camp in Bangkok. From there Ly and his stepsister were put on a plane and flown to Minnesota. His stepsister eventually moved to Boston and Ly was put in child protective custody until Judy Essling, who attends [NAME OF CHURCH], took him into her home and raised him as her own. To deal with the memories of his old life he repressed his memories of everything good and bad about Cambodia. Yet he couldn’t control the nightmares of his childhood. He became involved in the church’s youth group. At a Bible retreat he committed his life to Christ. “Several months later I realized the nightmares had disappeared,” he says. As Ly grew in his faith he promised to serve God any way He desired. After high school he enrolled at North Central University in Minneapolis. Though he wanted and was willing to serve in ministry, he never considered going back to Cambodia to do so. “Cambodia was never a thought because I had convinced myself that in order to move on with my life and fit into American culture I had to forget about Cambodia,” he says. But in the early 1990s peace talks prevailed, the fighting stopped and Cambodia opened to the world. The Assemblies of God sent missionaries — Steve and Jackie Sullivan, AG missionaries to the Philippines, were some of the first. The Sullivans also happened to be from Ly’s home church. Steve Sullivan wrote to called Ly and asked him to come to Cambodia for the summer to help them. After balking at the offer, Ly relented. His life would never be the same. He searched for his mother. At the village where she was born people reported she was alive, but others speculated she was dead. Within days, he learned of a woman who might be his mother. He tracked her down in a tiny village. As he approached her she eyed him then turned away. When Ly’s driver told her Ly might be her son she jumped up, embraced him and started crying. Ly was 23 years old, the last time he had seen his mother he was 7. At noon the next day Ly watched his sickly mother pour her only cup of rice into a boiling pot of water, prepare it then limp out of the hut and to three religious leaders. She bowed before them and offered the rice. They accepted it and chanted a brief prayer. When Ly asked his mother why she had given away her only food she told him she wanted to die soon and be reincarnated. It was a divine moment for Ly, he says, but he hesitated to accept it. Upon returning to Minnesota, he married, had children and settled into his occupation as a counselor in a Minneapolis group home. Though he tried to forget about Cambodia, he dreamed of it often and felt burdened for the people. In 1995, he applied to the AG’s World Missions Department asking for permission to become a missionary to Cambodia. Because the AG has a policy that does not permit nationals to become missionaries in their country of birth, Ly figured, he would be rejected and his desire would subside. The AG notified Ly they had made an exception and would welcome his ministry. Today, Ly is busy training Cambodians to become leaders not only in the church but also in the country. 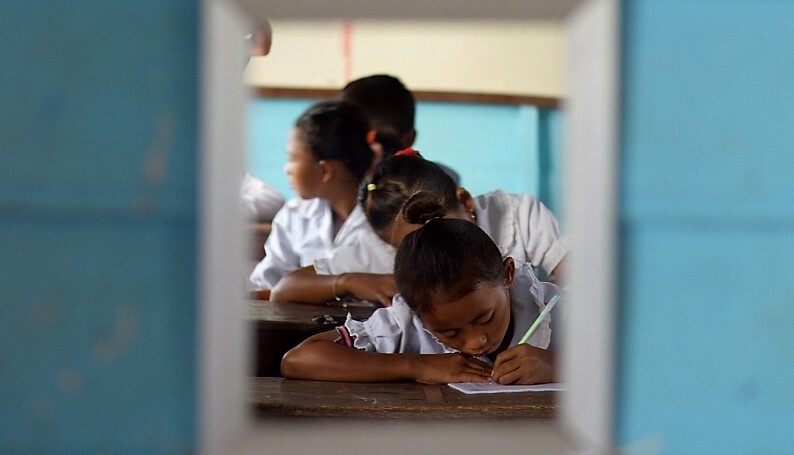 To do that, schools have been established in villages where there were no schools. Adults are learning about Jesus and leadership at AG churches and Bible colleges. As Ly ministers in Cambodia he sometimes drives past the Killing Fields where he almost died. It is estimated the Khmer Rouge regime killed nearly 2 million Cambodians. In some ways it’s already come to his family. Recently, Ly led his mother in the sinner’s prayer. Now he’s praying many more Cambodians will commit their lives to Christ too. We are survivors of the “Killing Fields.” Under the genocidal reign of the Khmer Rouge, over two million Cambodians died from torture, starvation and forced labor. God, in His grace and mercy, spared our lives, and now is using us to share His love to the broken people of Cambodia. Assemblies of God Cambodia 2017 with AG missionary Dareth Ly. Ampil Primary School near Siem Reap. Assemblies of God Cambodia 2017 with AG missionary Dareth Ly. New Dream Center, outside of Siem Reap, church services and activities. Assemblies of God Cambodia 2017 with AG missionary Dareth Ly. Classes and children at the floating school. Assemblies of God Cambodia 2017 with AG missionary Dareth Ly. Out and about in the floating village. Assemblies of God Cambodia 2017 with AG missionary Dareth Ly. 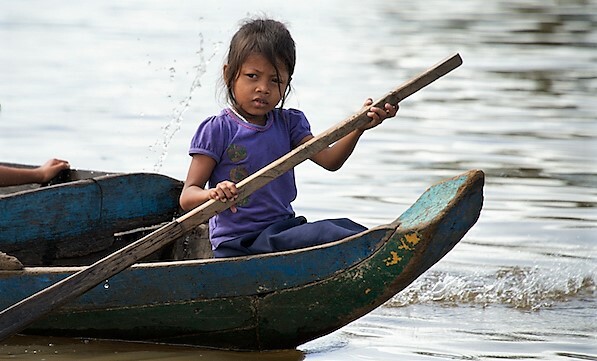 Children head home after classes in the floating school. Assemblies of God Cambodia 2017 with AG missionary Dareth Ly. 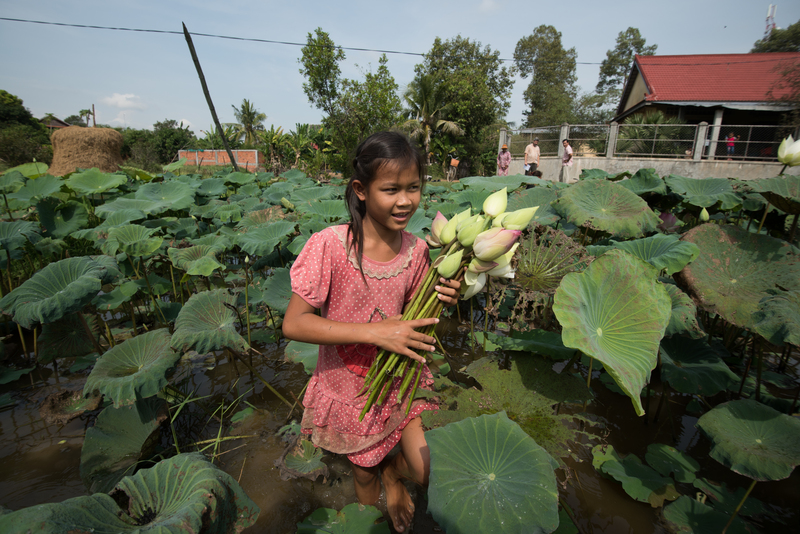 Children gather lotus blossoms to be sold in the market near Siem Reap. The pond with the plants is behind the Ampil school.